Struck in .999 fine silver at the United States Mint at West Point. Certified by PCGS as a near-perfect Proof 69. Carried the First Strike designation, meaning that the coin was among the very first to have been issued by the U.S. Mint. 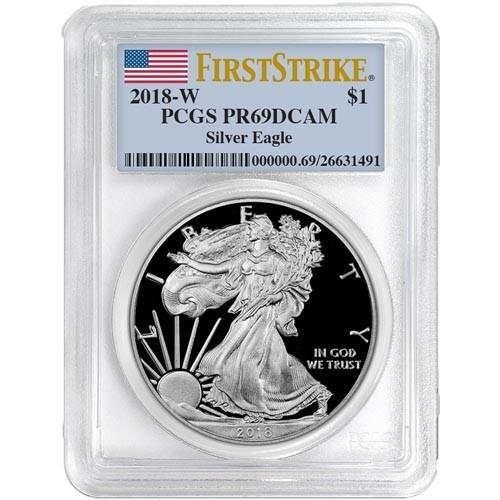 Best Prices on Certified Proof Silver Eagles!